Good morning all! I hope you have had a wonderful start to your week. I sat through a great lesson this past weekend, which taught about being positive despite going through difficulties. This is a struggle of mine, and I have been feeling quite down the past few weeks. I have decided to work harder at being positive, and look for all the good in each day. Attitude is an amazing thing! Yesterday was positive, and I hope I can keep smiling through everything that may happen this week. Today I am writing to you comfortably from my office chair. It is extra comfortable because I am sitting on my newly completed Hexie Puff Seat Cushion. Isn’t it darling?! I am sharing my projects today at Stitch and Unwind, so click over to the get the full tutorial. Be sure to subscribe to my weekly newsletter so you don’t miss any crochet projects, and follow me on Facebook and Instagram. I would LOVE to see your WIPs! Share your projects in the Whistle and Ivy Facebook Group. 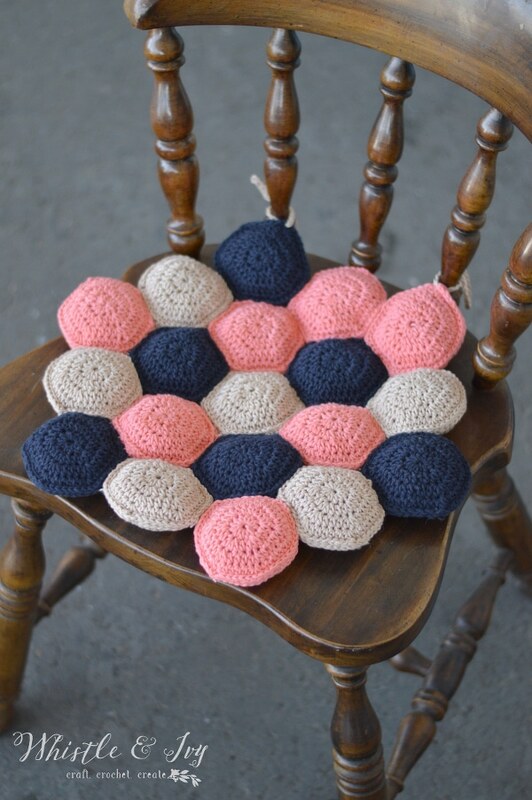 I would love to see your version of the Hexie Puff Seat Cushion! 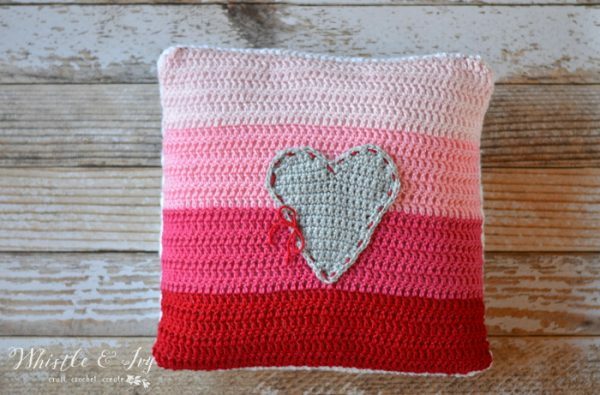 You might like these awesome projects, too! Such a sweet cushion pad. 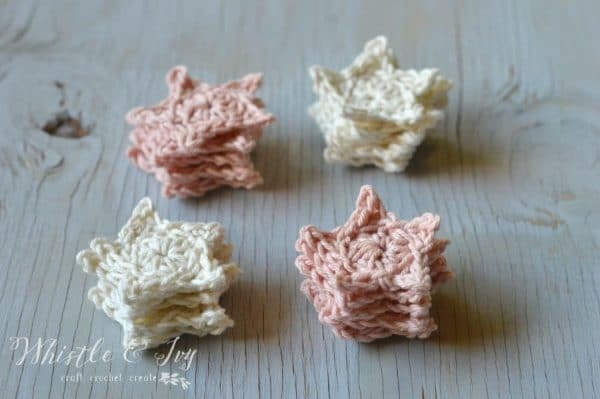 I’m doing crochet hexies for a blanket right now, it’s nice to have something to do whilst watching tv and they crochet up so quickly. 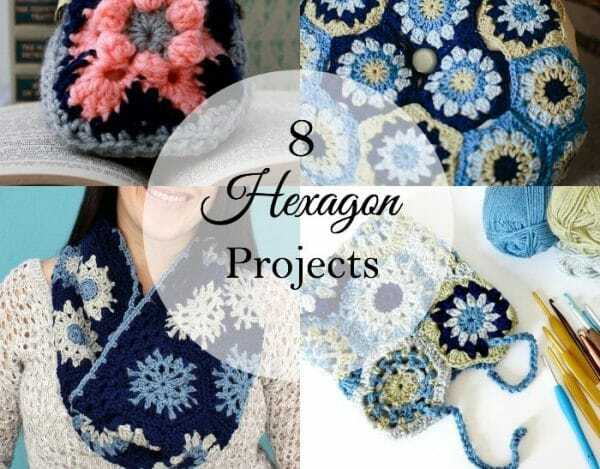 I’m loving the hexie puff idea – I’ll add it to my to do list! This is the cutest seat cushion I have seen! It definitely looks comfy and I can tell you put a lot of work into it. Love it! Oh that’s soo cute!! And I love the colors you chose for it! I’m definitely pinning this for later! Thank you thank you Stephanie! This is really cool! I made a knit “Beekeepers Quilt” a few years ago. It was the most awesome and tedious project I’ve ever tackled. I hope happiness and positivity are sprinkled on you this week! Thanks so much Jess! I am not sure I could tackle something so large. Maybe when my kids are all in school!